The Tomato Clownfish, also known as the Bridled Clownfish or Red Clownfish, is found throughout the Pacific, almost always in association with an anemone such as Bubbletip Sea Anemone (Entacmaea quadricolor). 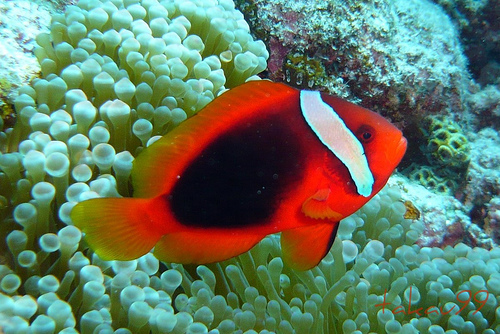 The Tomato Clownfish has a wider distribution than the Fire Clown, which is usually restricted to the Indo-Pacific reefs. 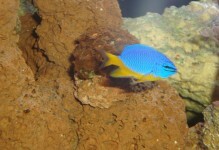 It has also been known to use coral as a host in the absence of an anemone. The Tomato Clownfish is a bright orange-red with one white vertical stripe behind the eyes. 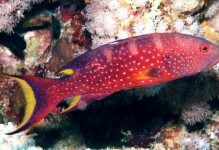 It can attain a length in the wild of 5 inches, but it usually reaches a maximum of 3.5 inches in an aquarium. 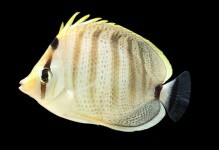 The very hardy Tomato Clownfish can be housed with most fish that will not eat it and is a good choice for tank-cycling. It should not be housed with any shy or passive feeding fish, as the Tomato Clownfish tends to be somewhat territorial and aggressive with conspecifics and as it gets older. 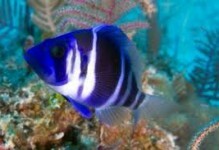 As with all clownfish, most are born as males, and the dominant male will change to a female. 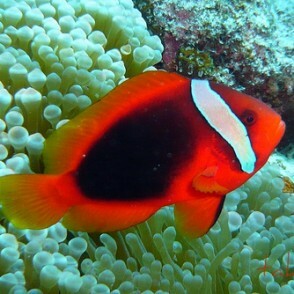 An aggressive eater, the Tomato Clownfish will consume most meaty foods and herbivore preparations.